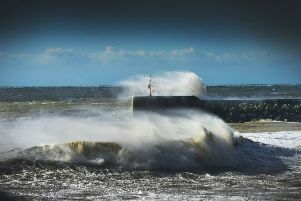 It is set to be windy over the next few days across Sussex. According to the Met Office, today (Sunday, March 10) will be largely dry this morning but rather cloudy and very windy. It will become brighter in the afternoon but staying windy with the risk of a few showers. Tonight the winds will ease this evening, but showers will continue. The Met Office said it will become largely dry with clear skies by midnight, making it feel cold with a minimum temperature of 1°C. Tomorrow (Monday, March 11) it will start chilly but will be dry with sunny spells. It will be breezy at times, but less windy than today, with a maximum temperature of 11°C. The outlook for Tuesday (March 12) to Thursday (March 14), according to the Met Office, is a windy day on Tuesday, with rain, heavy in places, clearing in the afternoon. 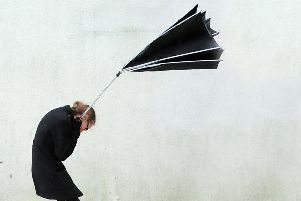 Gales are expected in the county on Wednesday (March 13) with bright spells and heavy showers. It will be cloudy with outbreaks of rain and drizzle on Thursday but less windy, the Met Office said.